"... a wind from the Northern Adriatic Sea." Photos courtesy of Italdesign, Marcello Candini, Henny Cate and Dr. George Lipperts and Ivan Ruiz. 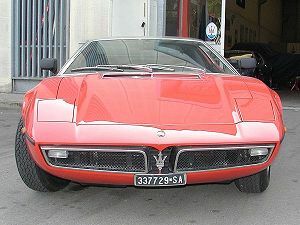 It was soon after Citroën took a controlling interest in Maserati in 1968 that the then administrator of Maserati, Guy Malleret, suggested to Ing. 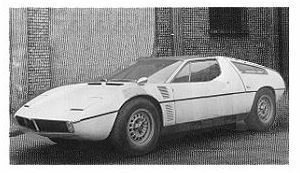 Giulio Alfieri the production of a two-seater mid-engined sports car. 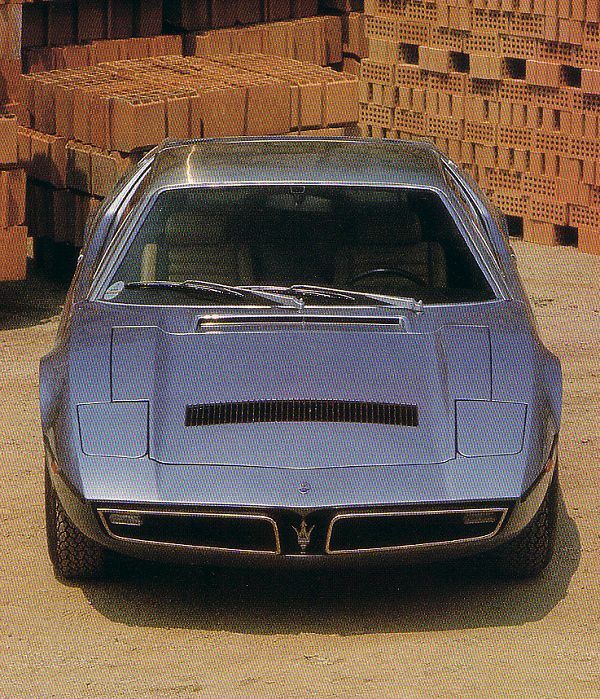 With the latest trend moving towards two-seater rear-engined sports cars such as the Ferrari 'Boxer' and the Lamgorghini 'Countach', Alfieri had already given this concept considerable thought and when the 'go ahead' came from Malleret, it was music to his ears. 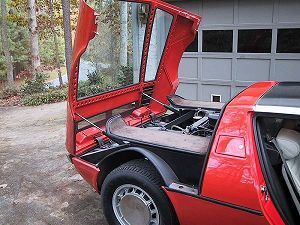 Ever since his previous none too successful ventures into the field of 'rear-engined' sports racing cars with the Tipos 63, 64 and 65, Alfieri had wanted to design a rear-engined road car. He now had the ideal opportunity, for this time he would not be handicapped by the financial restraints of old that had hampered and restricted the necessary development of his previous projects. 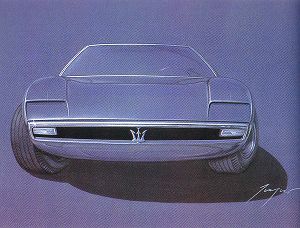 While Alfieri worked on the technical solutions, Maserati entrusted Ital Design of Moncalieri, near Turin, with the task of designing the body of this new two-seater, 'mid-engined' Granturismo. 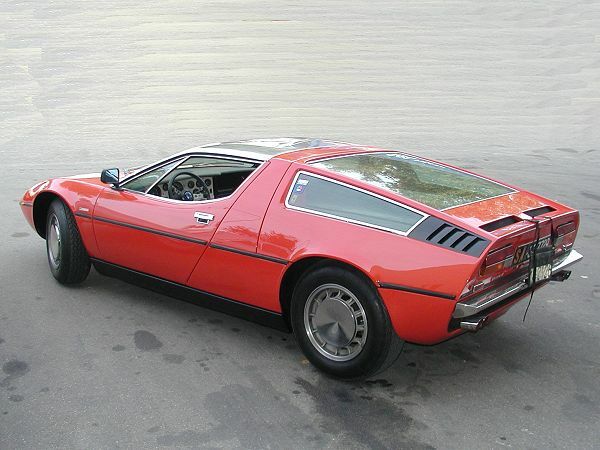 "The brief called for a car that was clearly a Maserati, modern but devoid of the exotic look that unnecessary decorations can create, strikingly sporty but not inordinately aggressive. 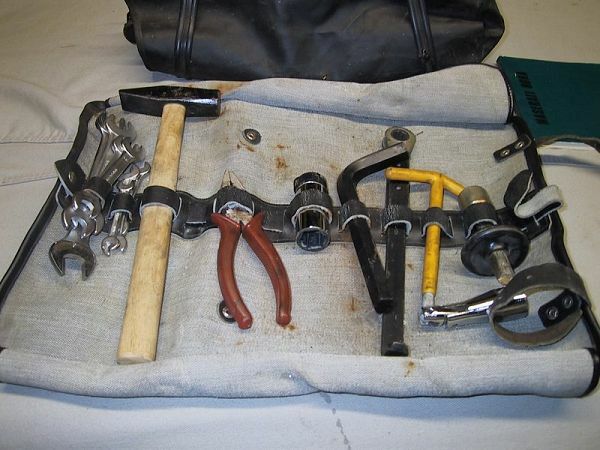 In short: innovative but not revolutionary. Starting from his masterpiece, the Ghibli, Giugiaro penned a shape that had some similarity to his first Maserati. A high tail lightened by the long rear side windows, a belt-line that rose towards the tail end. 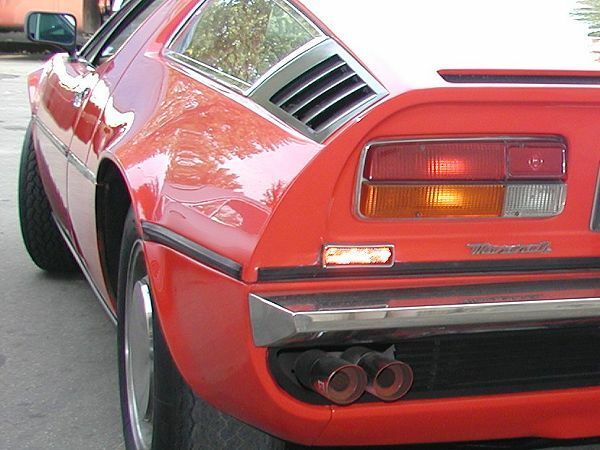 The end result was eye-catching and its very compact rear gave the car considerable punch. 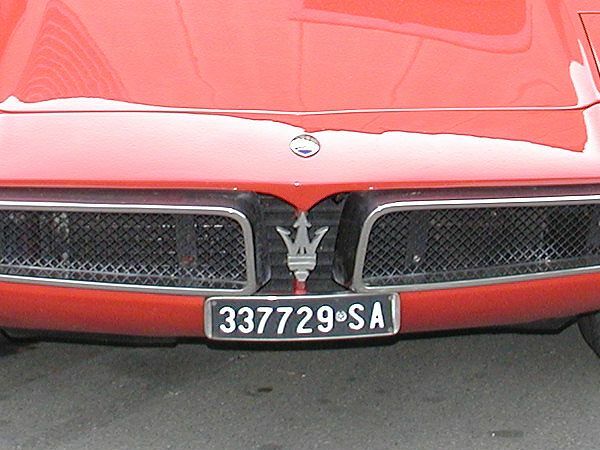 At the front end, the radiator grille repeats the movement of the Ghibli. 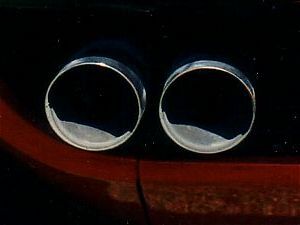 Here, though, the trident stands out from inside the centre of two chrome-plated borders. 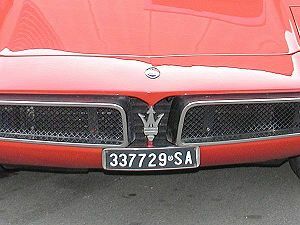 The front hood is linear, with the very moderate ridges of the fenders rising above it. Making the roof and A-pillar in brushed stainless steel, in clear opposition to the rest of the body, was a courageous move: it is the only contrasting note in a shape so severe as seem almost Euclidean. 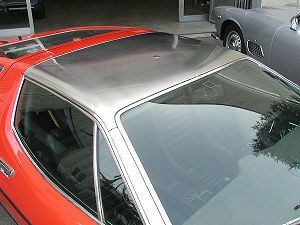 The addition of a thin rubber strip on the middle of the side, meant to protect the sheet metal from minor impact, is unusual in a top-of-the-range car. The link between the Bora and the Ghibli is a strong one, yes, I know one was mid-engined and the other front-engined, but both bodies were designed by Giorgetto Giugiaro, the Ghibli whilst he was chief designer at Ghia, both were powered by a V8 engine and both had mechanics designed by Ing. Giulio Alfieri. 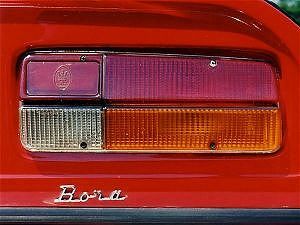 An amusing insight into the Bora's development appears in Jan P Norbye's excellent book, 'Maserati Bora and Merak', where he describes a conflict of opinion on the mid-engined design between, Alfieri and Maserati's long time test driver Guerrino Bertocchi, a great admirer of front-engined cars - the Ghibli in particular. 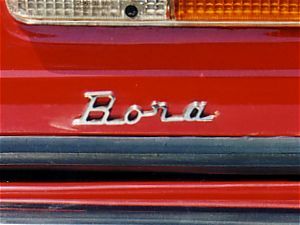 "Bertocchi's role in the making of the Bora was a critical one, in more senses than one. He was hostile to the idea of a GT car with a central engine, and went out of his way to demonstrate to visiting journalists that his cornering speed was just as high in the front-engine Ghibli. 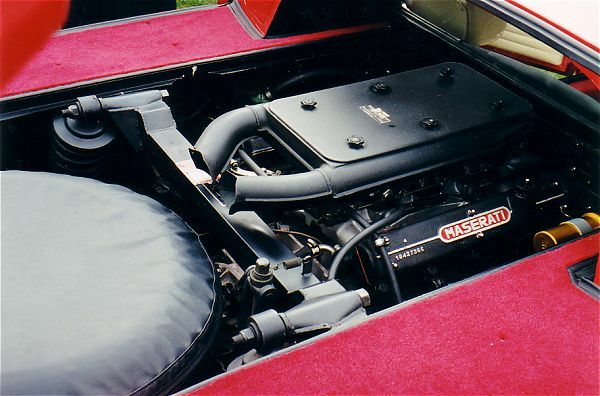 He preferred the ghibli, feeling comfortable with that big engine and long hood in front of him, rather than the Bora, where he sat closer to the road and much closer to the nose of the car." 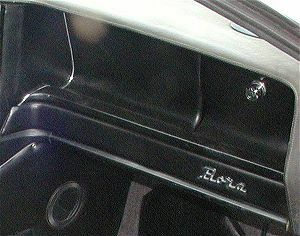 The design and development of the Bora started in October and the first prototype was on the road in the summer of 1969. 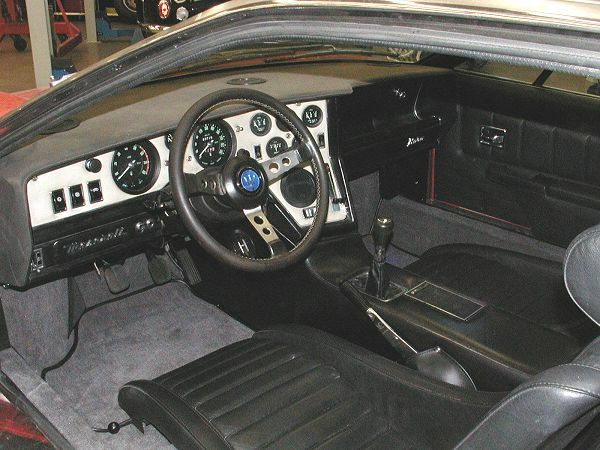 Photos of the early prototype show the same overall design of the production car but there were some minor differences. 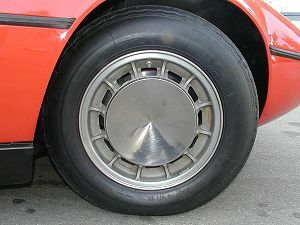 Between the bonnet and the windscreen were two horizontal air intakes/scoops and behind the front wheel arch, above and below the 'belt-line', were two louvred air vents. At the rear of the roof there was no lip-type spoiler and the number plate lights were mounted either side of the number plate. 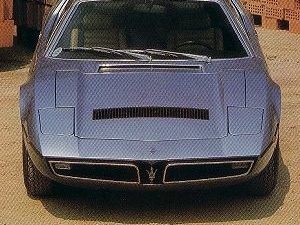 Maserati tradition demanded many important qualities during the designing of the Bora, the car had to stylish yet solidly built, it had to be fast and reliable and above all it had to be refined and comfortable. 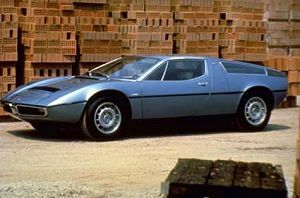 The Bora, designated Tipo 117 by the factory, was the 'star' of the show when officially launched at the Geneva Motor Show in March 1971. 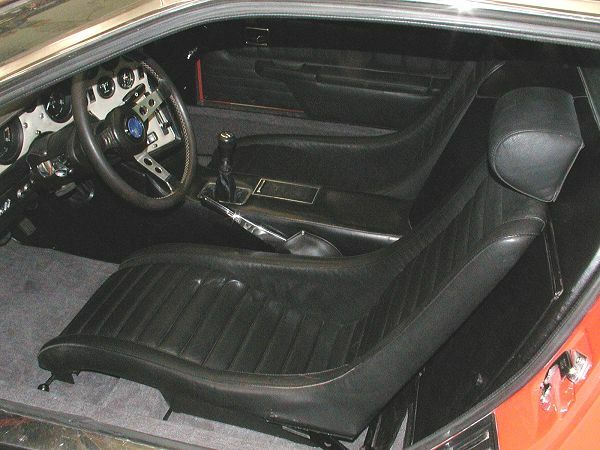 Production started soon after when construction of the bodywork was entrusted to 'Officine Padane SpA of Modena'. Once again Alfieri turned to Maserati's powerful and reliable V8 engine for its power base, this time the 4.7-litre unit. 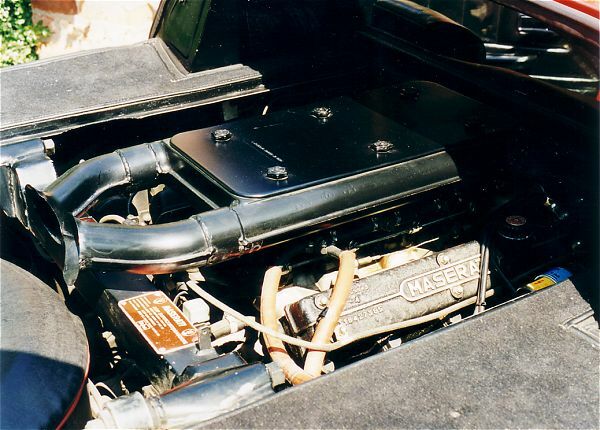 The four overhead camshaft engine with two valves per cylinder 4719 cc engine, fed by four twin-choke downdraught Weber 42DCNF carburettors, produced 310 bhp @ 6000 rpm with a maximun torque figure of 325 lb ft @ 4200 rpm. 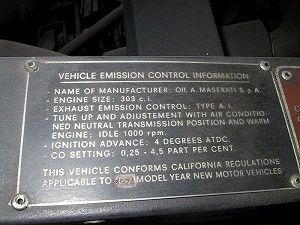 From 1973 a 4.9-litre engine (the 4.7-litre engine hadn't been homologated in the US, but the 4.9-litre 'Ghibli' engine had) with emission controls was available for the US market with a power ouput of 300 bhp @ 6000 rpm with a maximun torque figure of 310 lb ft @ 3500 rpm. 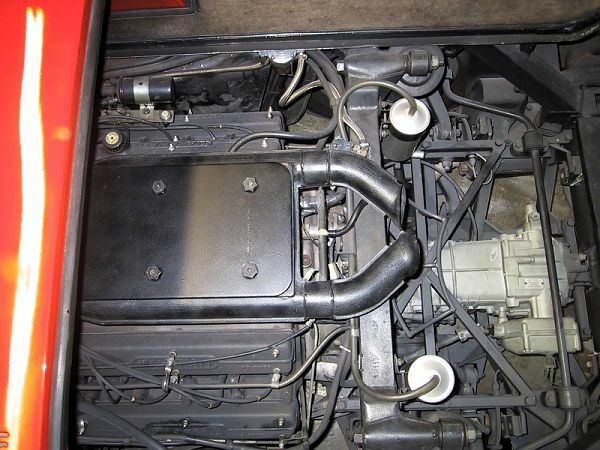 From 1975 till the end of production in 1978 all Boras were fitted with the 4.9-litre engine with a power ouput of 320 bhp @ 5500 rpm with a maximun torque figure of 335 lb ft @ 4000 rpm. 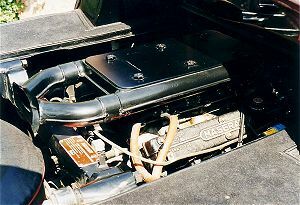 The engine, mounted longitudinally ahead of the rear axle, was linked to a 5-speed ZF transaxle mounted in-line to its rear. To reduce noise and vibration, the whole assembly being mounted on a tubular subframe which was anchored to the all-steel monocoque chassis by four flexible mountings. The spare wheel was housed in a cover and stored above the gearbox behind the engine. 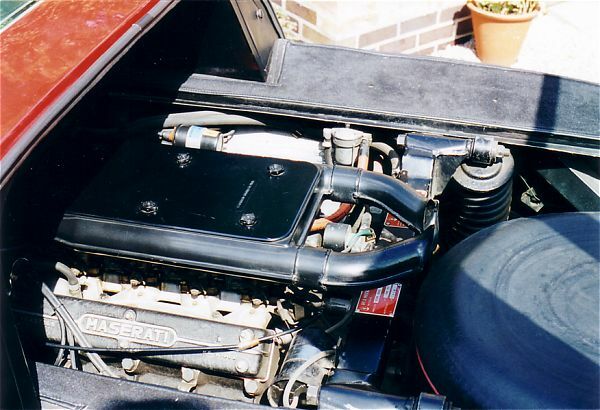 Access to the engine was via the large engine cover that incorporated the side windows and the large almost horizontal heated rear window. 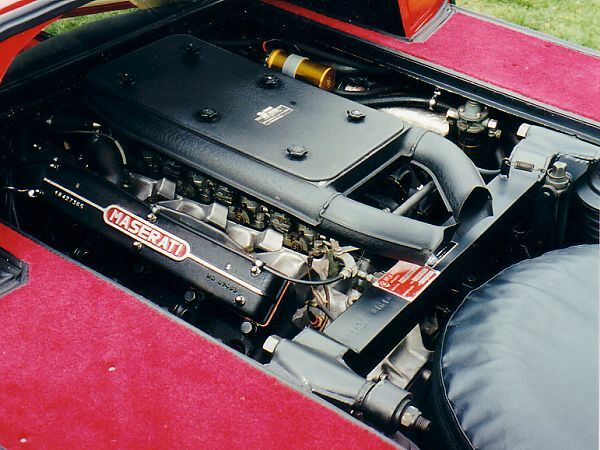 Unlike the other mid-engined sports cars of the period, where the engine is sited directly behind the driver and passenger, Maserati fitted an extra carpeted aluminium panel, which could easily be lifted off for access to the engine, as extra sound insulation for the occupants. 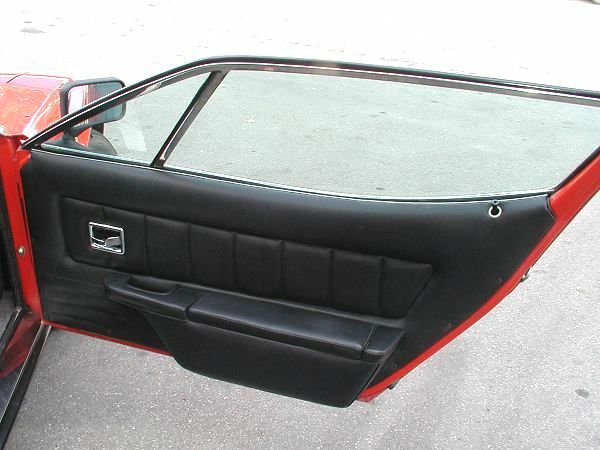 Even the rear window between the interior and the engine bay was double-glazed! 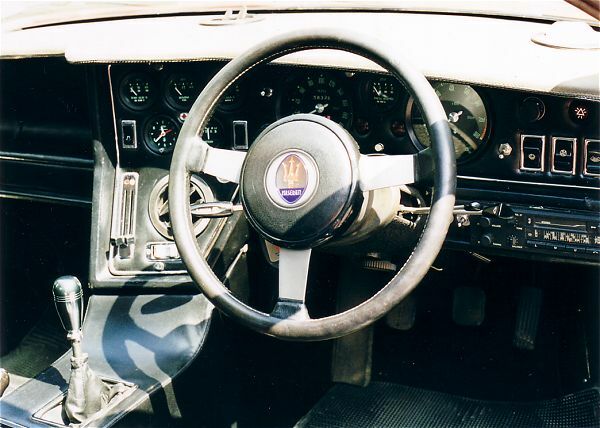 Suspension was independent all round with unequal length wishbones/A-arms, coil springs, hydraulic shock absorbers with anti-roll bar at the front and rear. 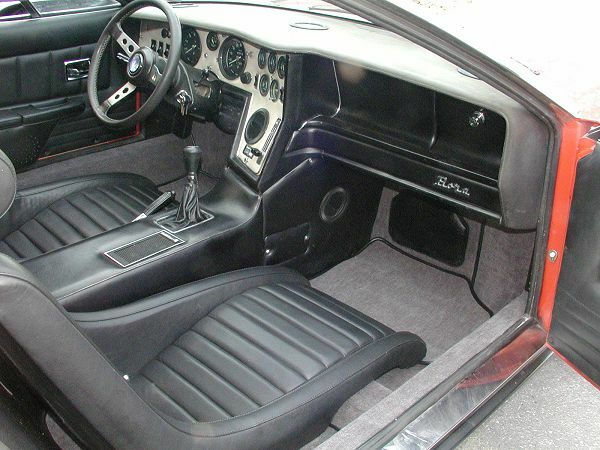 The Bora being the first production Maserati to adopt a fully independent rear suspension system. 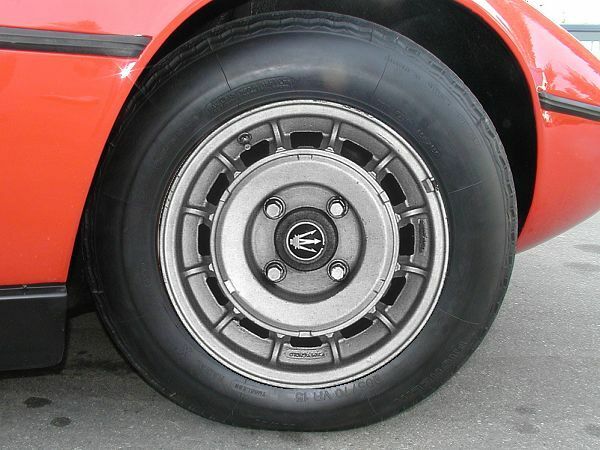 Braking was by Citroën's high pressure hydraulically assisted system with ventilated discs all round, 9½-inch discs at the front and 9¾-inch discs at the rear. The power steering and the single retractable headlights were powered by the same hydraulic system. 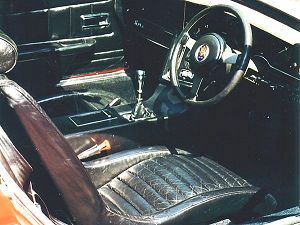 To ensure the best possible driving position, the steering wheel was adjustable for rake and reach. The high pressure hydraulic system allowed the driver's seat to be adjusted for height but had no forward or aft movement, instead, the same system allowed the entire pedal box to be be moved forwards and backwards by some three inches. 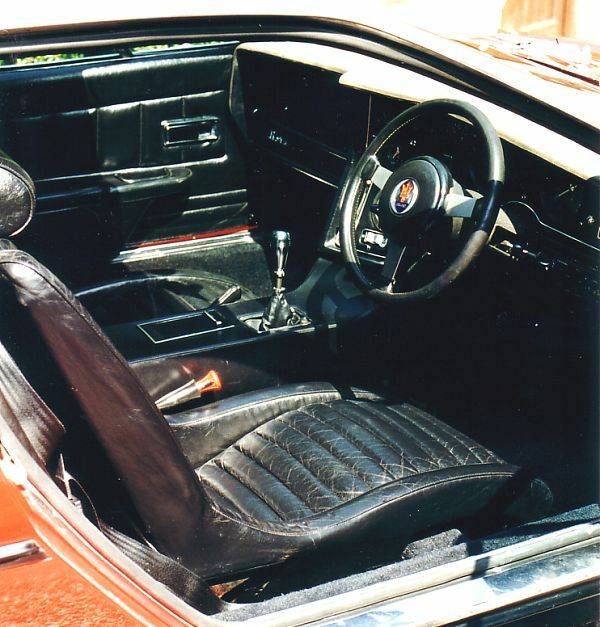 The bucket seats, facia, door trim, centre console and rear bulkhead were trimmed in leather. 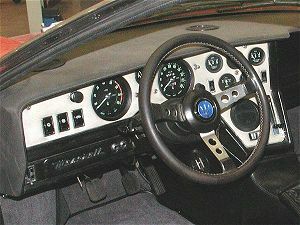 The dashboard incorporated Veglia analogue instruments including a speedometer, rev counter, oil pressure, oil temperature, water temperature, fuel level gauge, battery condition indicator and a clock. The centre console housed the electric window switches, air conditioning controls, air vent and radio. 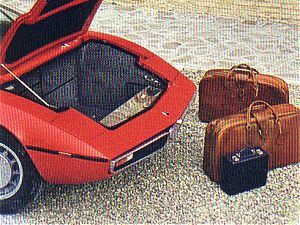 Luggage could be stored in the 10 cu ft of space in the front boot area, an adequate amount for this type of car. 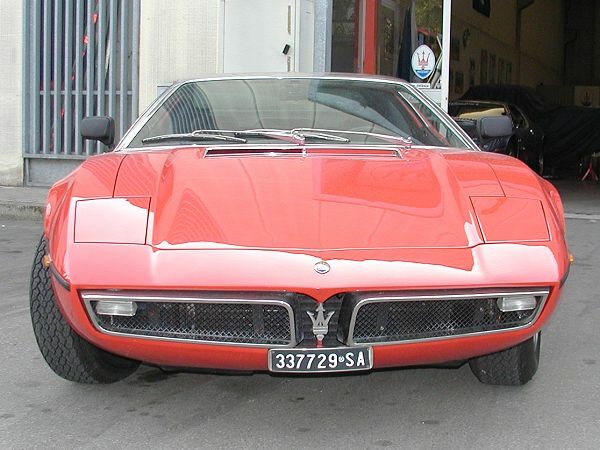 The Maserati tradition of quality build and passenger comfort came at a price for although the Bora was shorter and lower than the Ghibli (its wheelbase was in fact some 50mm longer), it weighed some 180 kg more. 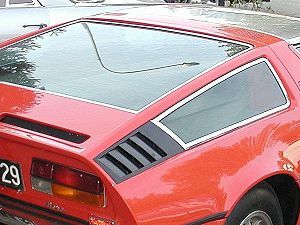 During its production years the Bora underwent only minor changes, early versions had the front boot lid hinged at the rear, 'alligator' fashion, but later European models were hinged at the front end. 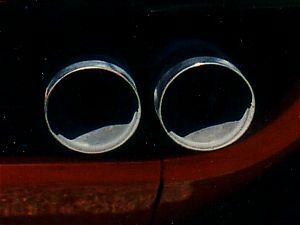 On early models the retractable headlight covers were rectangular (see photo above left) but on The later models but were rounded off at the front corners (see photo above right). 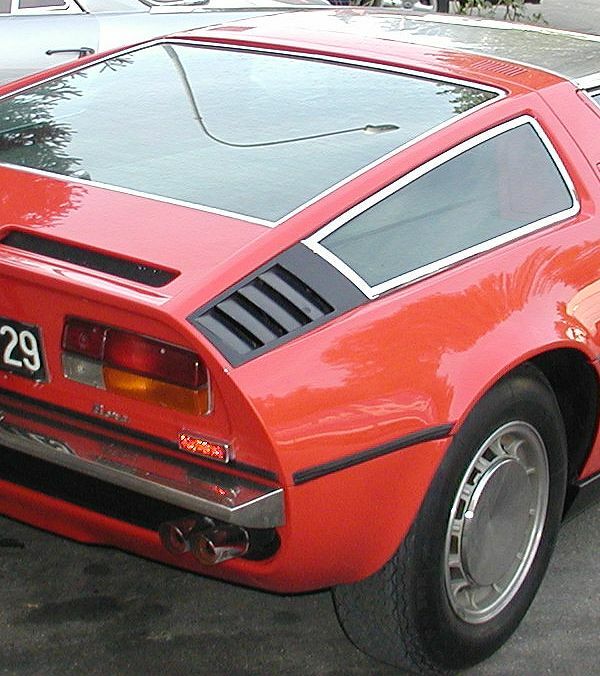 During the last years of production the front boot lid was given a black louvred grille. 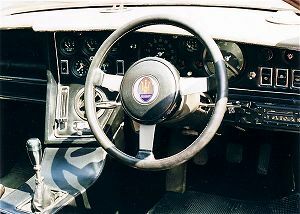 In its production run from 1971 to 1979 some 530 Boras were built, of which 44 were imported into the UK (between 1972 and 1978). 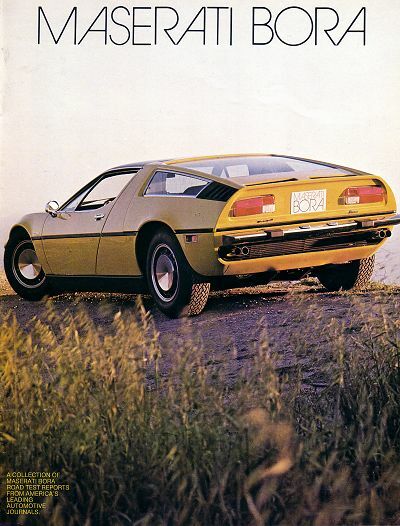 The most productive year being 1972. The instability of the mid-seventies meant that yet another Maserati classic was never fully developed and perhaps we never saw the best of the Bora. 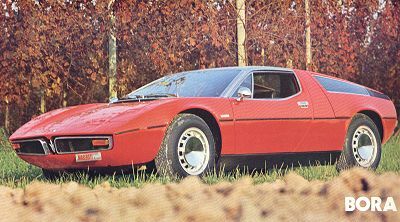 According to the 'Catalogue Raisonné 1926-1990' by Gianni Cancellieri, 9 Boras were built in 1971, 220 in 1972, 157 in 1973, 85 in 1974, 29 in 1975, 12 in 1976, 15 in 1977 and 3 in 1978. 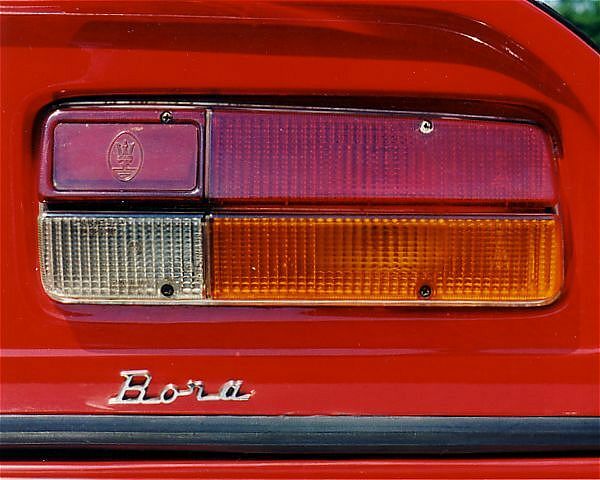 An article in the March 1996 issue of Ruoteclassiche states that in 1978 the last Bora was the 524th example made and of these, 289 were 4.7-litre and 235 were 4.9-litre models. 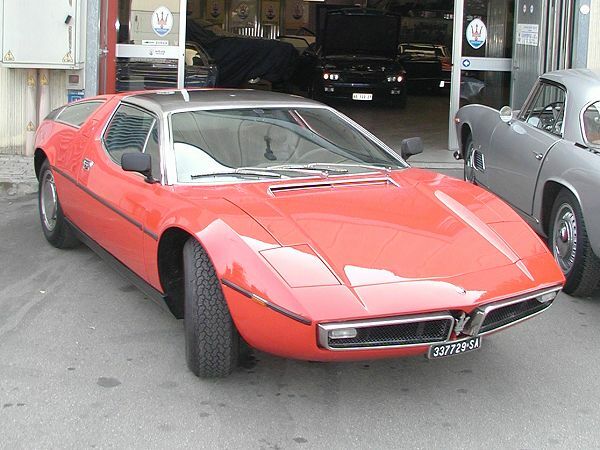 Maserati's first production mid-engined car distinguished itself from its two rivals by maintaining in part the true character of a Maserati: luxury, comfort, a well equipped interior, ample luggage space and effortless speed - AN OVERALL PACKAGE ITS RIVALS COULD NOT MATCH! 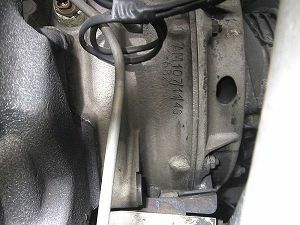 The following photographs are published with the kind permission of Ivan Ruiz, The Car Nut. 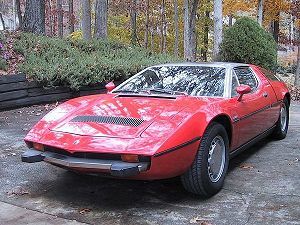 A 1974 Bora (US): Note the 'Merak' bonnet and big bumper. 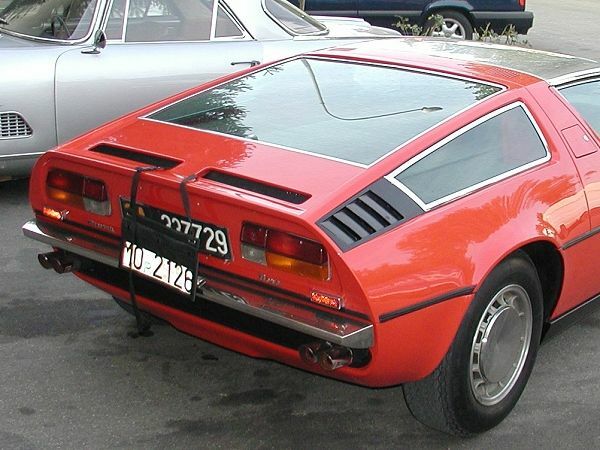 The rear section open: Note the hydraulic struts. 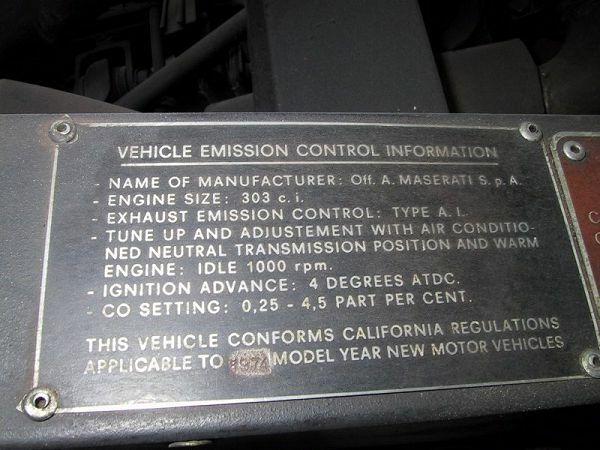 Check out The Car Nut website, there's always an interesting Maserati for sale! These Bora brochure courtesy of Henry Peder. 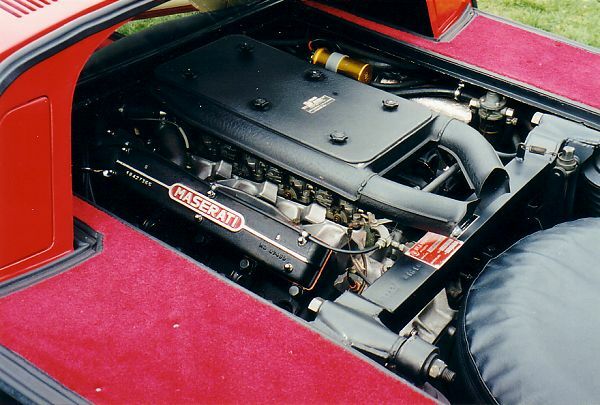 Copyright: Enrico's Maserati Pages - © 2003-2004. All rights reserved.